I've seen frozen pizza commercials of DiGiorno, and I finally tried Original Rising Crust Pepperoni Game Day Edition after having been curious if it's that good and better than delivery pizza as advertised. 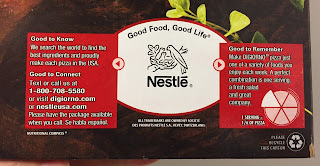 It's found at Duane Reade and was 7.99 dollars. The top of the box is football as it's Game Day Edition. 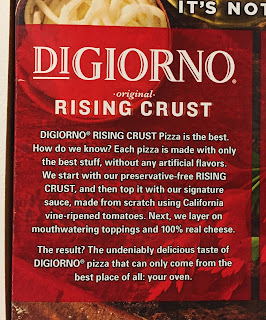 The crust is made without artificial flavors or preservatives. 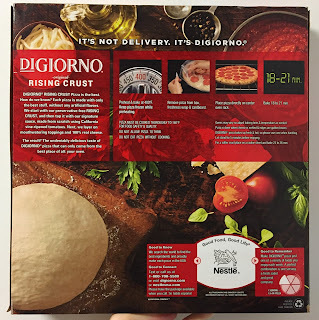 DiGiorno is a subsidiary of Nestle and previously owned by Kraft. 1. 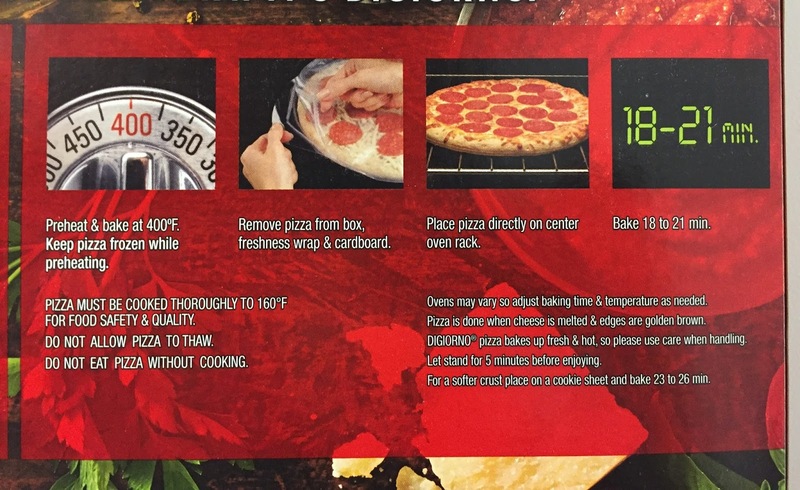 Preheat the oven at 400F degrees (204C). 2. 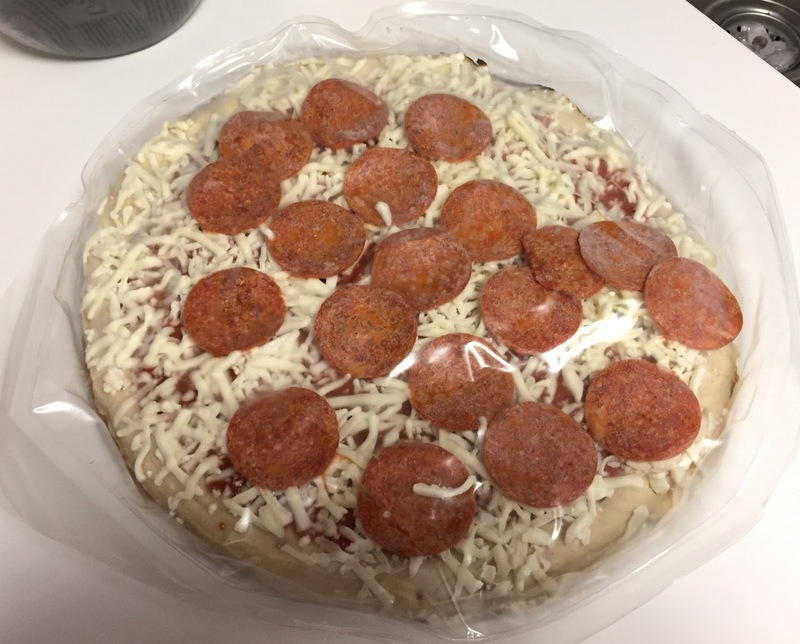 Remove pizza from box, take off plastic and cardboard. 3. Place pizza directly on center rack. 4. Bake 18 - 21 minutes. There're a lot of pepperoni and cheese. I didn't wanna deal with melted and burnt cheese at the bottom of the oven, so I placed a baking sheet on a lower rack to catch in case something falls. And as I guessed, some cheese was melting down. To see the crust rising in the oven was fun to watch since now it's has the rim around the pizza. The black stain on the baking sheet is burnt cheese. To take out the oven-fresh pizza was a bit challenging, too, because I can't pull it with barehands or mittens (just because I don't want them to get dirty), and I used a tong to slide it off to the baking sheet. It's how it looked after 18 minutes of baking. It's cooked through completely, but the color was still pale and I could have baked it longer. The crust was thick enough to hold the sauce, cheese and pepperoni. Melted cheese was sliding down. The edge of the crust was the tallest, yet overall, this pizza had a thick crust. I could see golden brown cheese over the edge. The bottom was rough because it's dusted with corn meal. 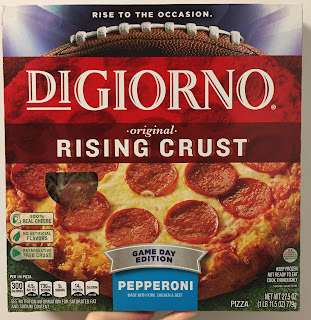 The sauce was sweeter than I thought with only a subtle hint of sourness of tomato, cheese was melted and there's good amount to balance with pepperoni. 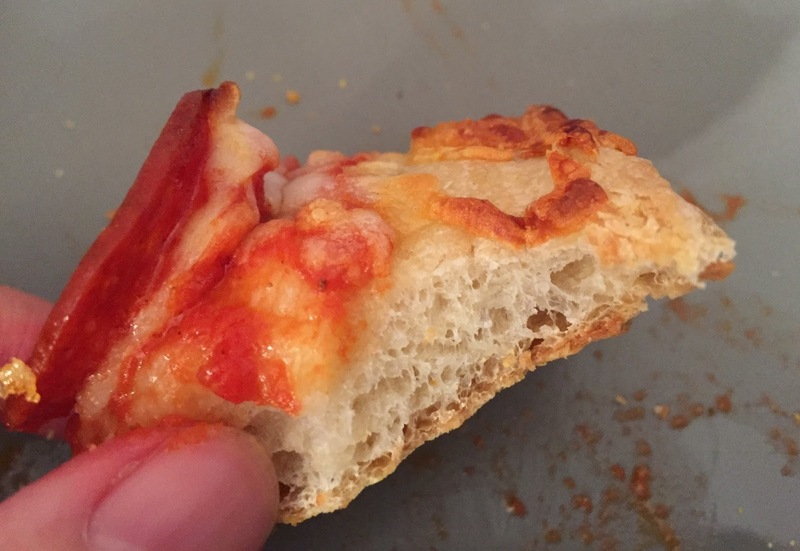 The crust was crispy at the bottom but as they're so thick that I felt like I was eating a fluffy slice of bread with pizza sauce and toppings. 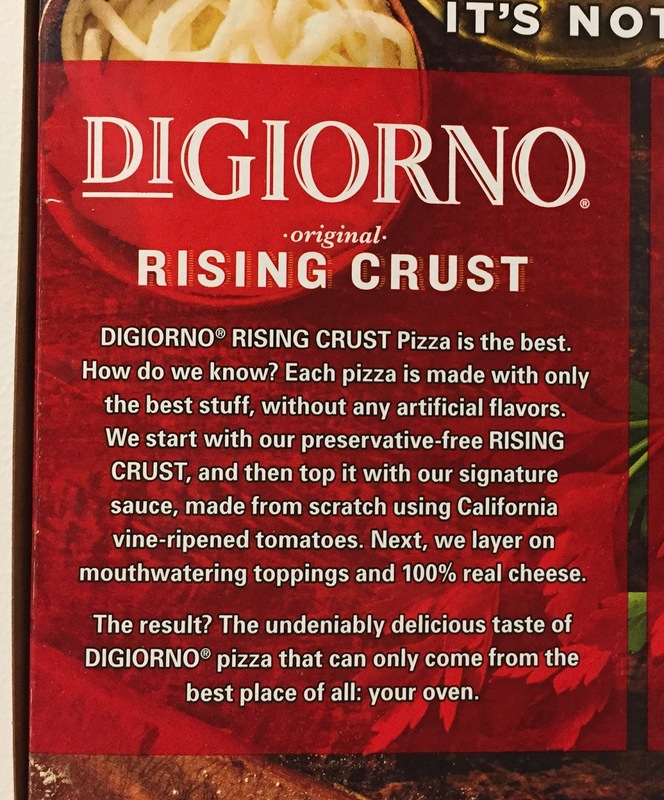 Also the yeast-scented crust was overly sweetened, and it's like "sweet crust + sweet tomato sauce" and the saltiness from cheese and pepperoni couldn't even the flavors.